October is the best time of year. This isn’t up for discussion; it just is. Fall is a way of life that ushers in Halloween, the cult of pumpkin, cooler temps and best of all, horror everything. Between theatrical releases, streaming sites and VOD, there’s an ungodly amount of blood and terror to inflict upon your eyeballs. Some of these are shiny and new, while others are horror classics or indies worthy of attention. Check out this smattering of horror movies and where you can find them, and fill up your streaming queue with some of this savagery. There are myriad ways to scare yourself shitless at an amusement park. Rollercoasters, heights, running away from a masked killer trying to slice you up. Gregory Plotkin’s film combines teen screams with slasher tropes in a classic setting ripe for forgettable fun. Kids need scares too and this sequel based on R.L. Stine’s iconic children’s series is perfect for your mini-mes aged…I don’t know…10? 8? How should I know, I don’t have kids. It’s rated PG and stars The Goldberg‘s Wendi McLendon-Covey as a mom of a youngster who accidentally unleashes a ghoulish baddie. Oops. The third film named Halloween (this time directed by David Gordon Green) retcons every single sequel after John Carpenter’s 1978 classic. Jamie Lee Curtis returns as Laurie Strode, a badass survivor, mother and grandmother who’s ready to take on Michael Myers for one final showdown. Remakes are a dime a dozen, but Luca Guadagnino’s take on the Dario Argento classic has been getting rave reviews from early screenings and festivals around the world. Dakota Johnson stars as an aspiring dancer at a Berlin academy fronted by a super weird, super sinister art director played by Tilda Swinton. A sadistic clown stalks victims on Halloween night, slicing and dicing his victims in terrifying silence in a run down apartment building. It’s a schlocky-but-fun piece of work, with an absolutely terrifying villain you might see in your dreams. Directed by Green Room‘s Jeremy Saulnier, Westworld‘s Jeffrey Wright braves a wolf-infested forest to help track down a missing 7-year-old who belongs to two weirdo parents played by Riley Keogh and Alexander Skarsgård. It has as much to do with wolves as Silence of the Lambs does with baby goats, but Dark brings hyper-violent thrills shrouded in gothic imagery and mystery. Directed by Demián Rugna, Terrified follows a quiet community in Buenos Aires that endures a number of unsettling events. Thomas Richardson (Dan Stevens) heads up a search and rescue mission after his sister is abducted by a freaky religious cult in early-20th-century Britain. Written and directed by horror maestro Clive Barker, the movie tells the story of an unstable mental patient who is falsely led to believe by his doctor that he is a serial killer. 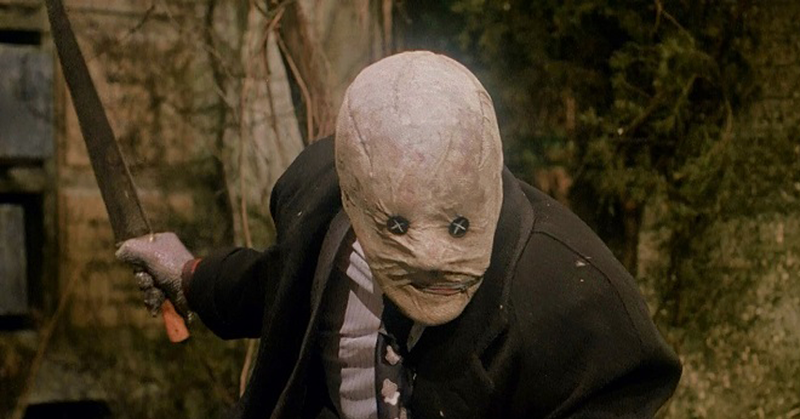 Aaron Boone eventually finds a home with a tribe of monsters and outcasts known as the “Nightbreed” where they hide from humanity. A Spanish found footage film, Rec revolves around a reporter and her cameraman as they cover a firefighter intervention in an apartment building in Barcelona. 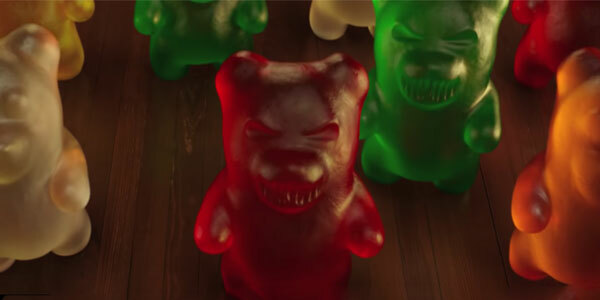 As the situation escalates, some of the building’s occupants start displaying animalistic and murderous behavior, as the rest of the inhabitants find themselves trapped inside. It’s a fantastic spin on the found footage and zombie genres. Watch this Spanish version and not the American remake. The Omen is just as important to horror cinema as The Exorcist and Rosemary’s Baby. If you haven’t seen it, now’s the time. A group of all-female friends head out on a spelunking trip one year after Sarah’s husband and daughter are killed in a horrific car accident. Little do they know creatures are lurking beneath the cave’s surface waiting for fresh victims. The sequel is also available on HBO, but you’re better off skipping it. 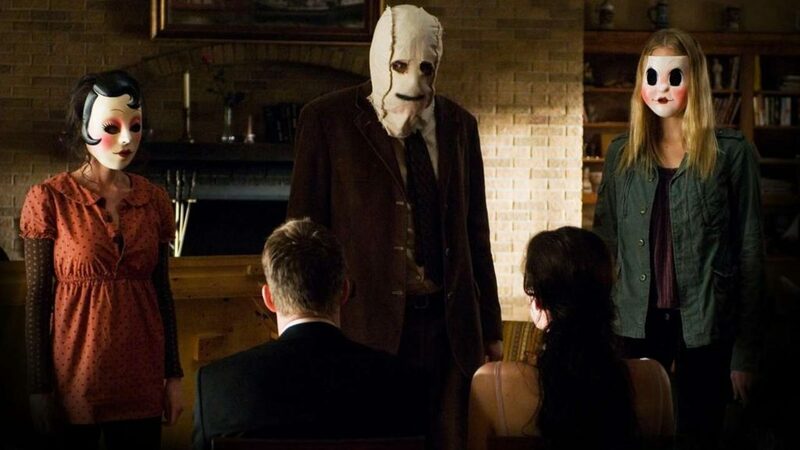 A trio of masked villains invade the vacation home of James (Scott Speedman) and Kristen (Liv Tyler). There is zero motive (“…because you were home…”) which makes it 1,000 percent more terrifying and dreadful. This ’80s sequel to Tobe Hooper’s original reunites Hooper and the chainsaw happy Leatherface, but the tone is lighter, campier and a shitload of fun. Come for the ’80s camp, stay for the human flesh masks. Rob Zombie’s House and Rejects follow the Firefly family, a murderous family that takes joy in torturing and brutalizing its victims. A third film in the franchise (3 From Hell) is on its way in 2019, so catch up these now, which are truly the director’s best. See the original series before hitting the theater for more Laurie Strode goodness. Five is somewhat skippable, but 4 is endearing thanks to Danielle Harris’s performance as little Jamie. Brian De Palma’s adaptation from Stephen King’s novel follows teenager Carrie who’s bullied at school and terrorized at home by her overbearing, religious freak show mom. 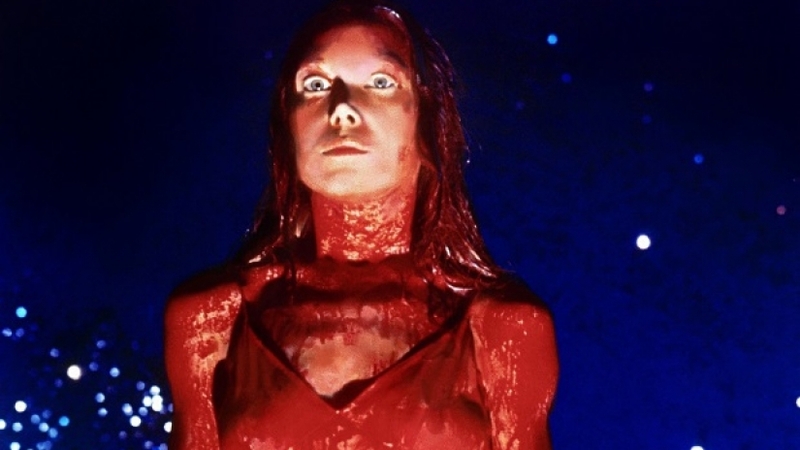 Carrie uses her telekinetic powers to exact her revenge at the prom after her classmates dump a bucket of pig’s blood on her. The result of her rage is something to behold. Anthony Perkins’ performance as a…well, psycho, is always ripe for a rewatch. Though not all of the aforementioned films are horror, it’s still a treat to have so much Hitchcock at our disposal. Thanks, Shudder! This is in no way a “good” movie, but it’s full of bizarre, twisted fun. A naive little boy befriends a serial killer masked as Satan and his friend quickly becomes the killer’s pawns. It’s campy and ridiculous, super low budget, but also kind of messed up? Grab a 12-pack before diving in. In 1630s New England, William and Katherine lead a devout Christian life with their five children after being exiled from their religion when William defies the church. Soon, the family seems doomed when their newborn son disappears and all of their crops mysteriously fail. Two girls spend winter break at their prestigious prep school, but what they don’t know is that one of them is being stalked by an evil entity. Meanwhile, another young woman travels across the country toward the school…but why? This one’s a slow burn and a head scratcher, but dark af. Spike Lee is back as executive producer of this horror anthology that spawns tales about politics, greed and lost, all with support from ghosts and demons and the like. Mr. Simms is back to host the grim tales, this time portrayed by Keith David. Red Miller (Nicolas Cage) and Mandy Bloom (Andrea Riseborough) live a peaceful existence on the outskirts of society. When a cult wreaks havoc on their pine-scented heaven, Red is thrusted into a hallucinogenic journey filled with vengeance and fire. 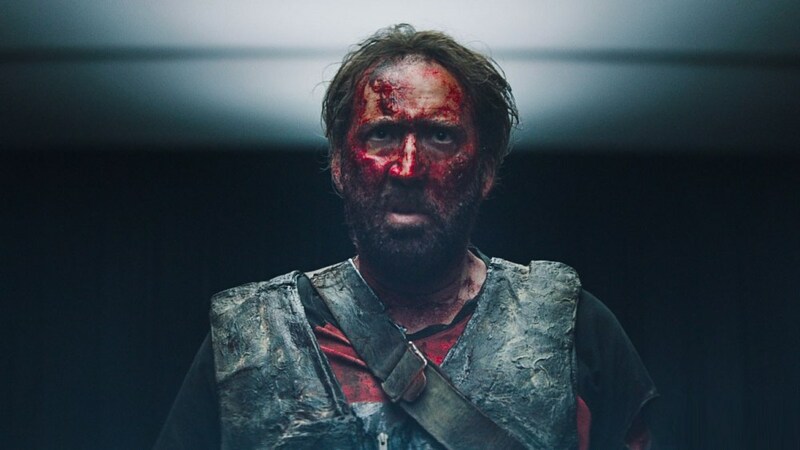 Watch this to see Nic Cage go full Nic Cage.